Hi all, I usually doodle some sketches either inspired by Berserk or straight fan-art, and this is probably what I'll post here in the future. The first one I'll submit is a bit different though. Aazealh tickled one of my funny bones in the last podcast episode (94), so I wanted to make something like what he was joking around with. It's probably been done before, but I wanted to make it anyway. 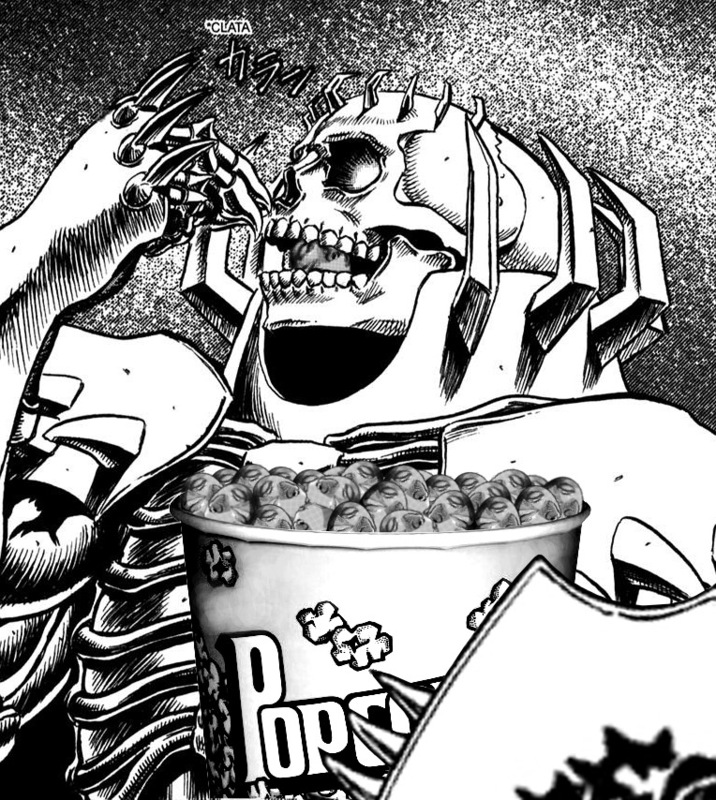 It's all of our favorite tin can, chomping down on some Friday snacks while he watches the drama unfold between Guts and his wench.